1) National: President Trump’s press conference on infrastructure flies off the rails as he launches into a tirade blaming “many sides” for the violence in Charlottesville last weekend. Transportation Secretary Elaine Chao, who is supposed to be coordinating the rollout of the plan, details of which remain sketchy, stood by sheepishly while Trump delivered his rant, and was fending off questions about her future with the administration after the event. Further collateral damage from Trump’s outburst included the collapse of his infrastructure advisory council as corporate leaders fled from the administration. The Trump plan, which would put a giant “for sale” sign on the country’s roads, bridges, water systems, and other infrastructure, has no funding or legislation to back it up. The day of the press conference, Trump released an executive order spelling out steps to shorten existing project approval and environmental review processes for infrastructure. It would cut the regulatory review process for infrastructure projects to two years at the most. “Within 180 days of the date of this order, the Director of the Office of Management and Budget (OMB), in consultation with the [Federal Permitting Improvement Steering Council], shall establish [Cross-Agency Priority (CAP) Goals] on Infrastructure Permitting Modernization. (…) Other projects or classes of projects subject to special environmental review and authorization streamlining processes similar to those referenced in this subsection may also be tracked on the Dashboard at the discretion of the FPISC Executive Director. The dates for milestones of all projects tracked on the Dashboard shall be updated monthly, or on another appropriate timeline as may be determined by the FPISC Executive Director.” One obvious problem: the presidentially-appointed position of FPISC executive director remains unfilled. 2) National: Trump’s executive order on loosening environmental permitting and regulation for infrastructure, which wasbacked by industry lobbyists, has produced a backlash. The directive, which “revokes an Obama-era executive order aimed at reducing exposure to flooding, sea level rise and other consequences of climate change,” will have dire consequences, says Rafael Lemaitre, the former director of public affairs at FEMA who worked on the Obama-era order. “Eliminating this requirement is self-defeating; we can either build smarter now, or put taxpayers on the hook to pay exponentially more when it floods. And it will,” he said. 3) National: In an extremely gloomy new issue, Public Works Financing (PWF) reports that the ‘public-private partnerships’ industry is deflated by Trump’s failure to fill the project pipeline, which has slowed down, and sees “dim prospects for repopulating the new business pipeline during the next few years.” Cutting against recent extravagant exuberance in the P3 world, with some saying the U.S. was finally poised to become a major player after years of lagging behind Asia and Europe, Chris Gower of PCL Constructors said “I consider the U.S. [P3] market to be in the adolescent stage of development.” PWF says “the U.S. market is characterized by too many P3 bidders competing for too few projects.” Pat Stricklin, an industry veteran, says “people are dropping back and reevaluating the P3 market.” [Public Works Financing, July/August 2017; sub required]. The obvious solution, more public funding of infrastructure, seems unlikely with a tightfisted Republican congress more interested in handing out tax breaks. Esoteric ideas like “asset recycling” also seem unlikely in the face of federal budgetary constraints, tight state and local budgets, and an empty brownfield pipeline. “There has been no meaningful brownfield transaction in the U.S. in ten years,” Transurban’s Jennifer Aument points out. 4) National: President Trump will deliver a speech tonight on the “path forward” in Afghanistan. His diverse teamdiscussed the issue on Friday. Media reports in recent weeks have focused on a proposal by business figures, including Blackwater founder (and Betsy DeVos brother) Erik Prince and billionaire investor Stephen Feinberg (the former CEO of Cerberus Capital Management), to privatize U.S. intervention. On Friday, The Atlantic reported that “Trump is said to favor using at least some of Prince and Feinberg’s proposals,” which were being pushed by the now-departed Steve Bannon and Jared Kushner. Chase Madar says contractors already outnumber U.S. troops in Afghanistan by roughly 3:1. 5) National: As a major report on political influence in infrastructure procurement decision-making surfaces, Public Works Financing reports that the P3 industry is taking aim at Value for Money (VfM) analyses of projects, one of the few tools for introducing some technical objectivity into procurement decisions and informing taxpayers whether public or private might be a better option. Some P3 proponents say VfMs, which have been promoted as best practice by the FHWA, are a “train wreck.” Industry figures are also reportedly grousing about the widespread practice of shortlisting multiple bidders to promote competition, saying the process costs too much. And are talking about taking tolling decisions away from elected leaders and giving them to, get this, an “an appointed board with no veto authority from elected officials” (Fitch analyst Cherian George’s idea). [Public Works Financing, July/August 2017; sub required]. Could it be that banks and builders would prefer a semi-no bid process in which political decision-makers they are friendly with would pick winners, and then tolls could be hiked on an as-wanted basis? 8) National: CNN claims that the private prison industry has recovered under Trump after getting a scare under Obama that it would be phased out. The Houston Chronicle also has a story on the private prisons boom in Texas under Trump’s immigration crackdown. “Under the Trump administration, both Texas’ family detention center contracts retain guaranteed minimum payments, even though the numbers of border crossings have dropped dramatically.” But as CNN Money reports, the GEO Group’s stock is down 16.66% in the last month, and earnings growth is down 11.3% this year. You want taxpayers to pay for a building that will be run by an outside profit-making organization? 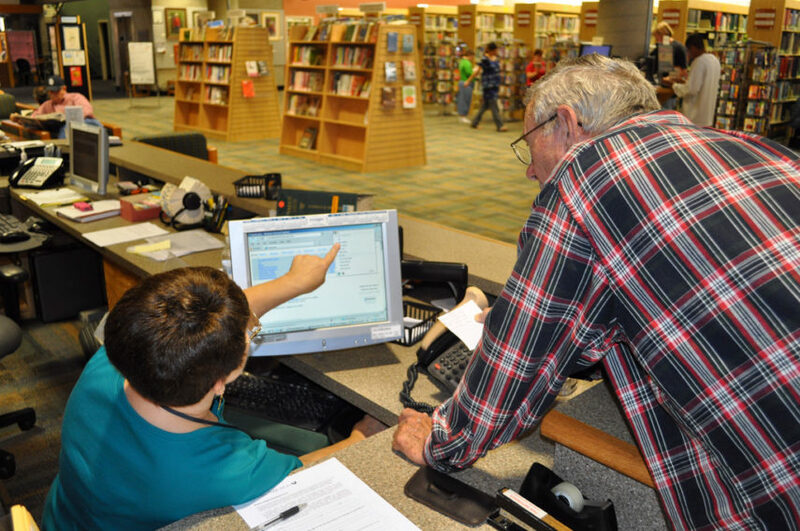 Not now, not ever!” Virginia Abushanab, a 20-year library volunteer, recently wrote in a letter to the council. Councilor Olga Diaz wrote an op-ed opposing outsourcing, saying, “in recent months, I’ve taken measures to publicly expose a covert effort by the Escondido City Council majority to relinquish operational control of our city library to Library Systems and Services (LS&S), a private for-profit company. As a result, the public has responded with a resounding, ‘Hell, no.’ In just the past few weeks, thousands of signatures have been collected on a petition to save the library and hundreds of residents have attended library board of trustees meetings to express their opposition. Emails have poured into City Council members’ inboxes daily. Even the American Library Association has weighed in with a formal letter to the city of Escondido, asserting that privatizing the library ‘threatens two pillars of public control—accountability and transparency—and undermines public trust.’” The council is expected to vote on the proposal this week. 12) Connecticut: A driver for a private bus company, Access Transportation, left a 6-year old special-needs student on his bus, alone, for half an hour. “The mother contacted Wethersfield Police Department to report the child had not returned home. At the same time, an employee from Access Transportation had been walking by the bus and heard the child crying and found the child on the bus,” Glastonbury Police Sgt. Corey Davis said. 13) Illinois: The state lottery, which has underperformed since it was privatized in 2009, is getting a new operator, Camelot, once the contracting is finished. “At the time, supporters said annual contributions to the state schools fund would increase each year, with additional revenues going toward building roads and other public projects.” In recent years lottery sales have remained mostly flat. 20) Pennsylvania: Moody’s, the for-profit rating agency, issues a report saying that Pennsylvania municipalities and utilities will benefit from privatization. But “for an [investor-owned utility] acquisitions can be credit negative if rate increases become too burdensome on customers and lead to political intervention,” Moody’s said. [Sub required]. And as Standard & Poor’s recently noted, “a steer towards affordable tariffs for customers” by regulators will lower returns on equity for private investors between 3.5 and 4.5 percent. But it remains to be seen how tough regulators will be on private water companies, though the British regulator Ofwat seems to be moving in that direction as it prepares a new methodology for after 2020. Until, then, though, there is money to be made: “For example, Morgan Stanley and Infracapital recently sold Affinity Water for around £1.6 billion to a consortium of Allianz, HICL and DIF—a nearly 40 percent premium to its £1.156 billion regulated asset base, as of 31 March. That’s a substantial premium on top of a regulated return for a company operating in a sector accused in a 2016 Public Accounts Committee report of making £1.2 billion in excessive profits between 2010 and 2015.” Food & Water Watch says “private companies charge ~60% more than local gov’t. Don’t let Trump sell your water!” See their petition. 23) International: PSA General Secretary Stewart Little reports that the latest figures show the Australian government as led by O’Farrell, Baird, and now Berejiklian “has privatized $50 billion in public sector assets in a little over six years. This is compared to $6 billion over 16 years under Labor” (p. 10). Speaking of the privatized train-to-airport system, Little also points to media reports saying it “costs you more than $17 each way; $13.50 of that goes straight to the private consortium; money that could go to child protection, Disability Services, the environment or justice system” (p. 11). 24) Transparency Resource: The Council of Inspectors General on Integrity and Efficiency (CIGIE) has launchedOversight.gov, a central repository for Office of Inspector General (OIG) reports that is intended to “improve the public’s access to independent and authoritative information about the Federal Government.” 73 OIGs are already participating. Lots of interesting reports. 1) National: AFGE, the government employees’ union, applauds the introduction of an amendment to the defense bill thatwill protect the jobs of tens of thousands of federal civil service employees from outsourcing.